This word search Activities at school - Taking part in school clubs has 10 hidden words. The subtitle of this worksheet is "Find the names of ten school clubs and highlight them.". 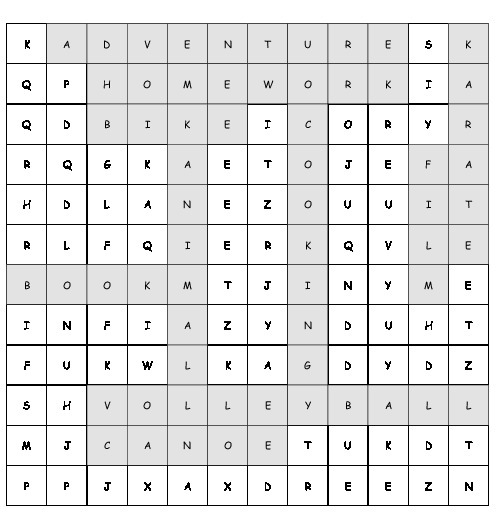 This Word Search has been checked automatically on 19th April 2019, 08:00. No errors were found. You can download this word find Activities at school - Taking part in school clubs as a worksheet (PDF, 245 kb) for free and use it in your lessons (school) or wherever you want. This word puzzle Activities at school - Taking part in school clubs is listed in this free Word Search Database since Monday, 25th September 2017.